Lying on the floor, face down, place your hands under your shoulders. 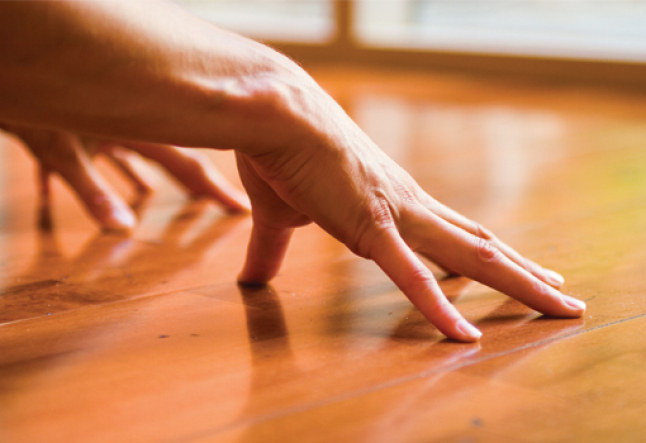 Feet together or hips distance, toes spread towards the back of the room, connect with the floor by spreading your fingers and pressing the whole hand into the floor. Grip the floor to pull yourself forward, lengthening the spine lift your torso with arm and back muscles, nose first, up in to a back bend. You want to keep your hips on the floor (most people should keep their arms bent). Pull forward through the sternum, roll the shoulders back away from your ears and graze the ribs with your inner elbows. 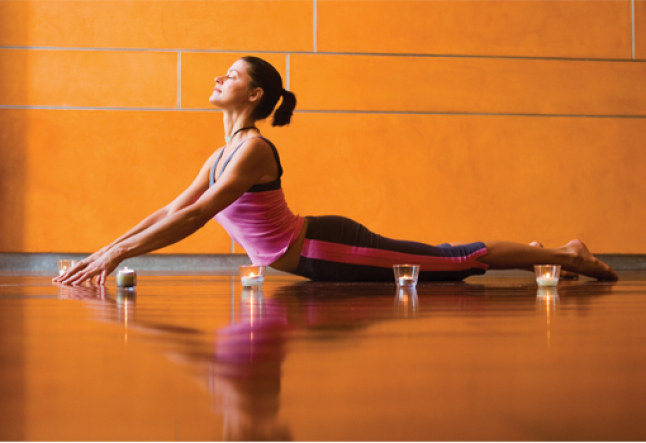 Find length in every part of your spine and open up the pose with open, wide breath. Flow of breath in a pose brings you to the next level, not by pushing or jamming. I love this hatha yoga pose! It is as essential as food and water to me. Funny thing is, I didn’t like it when I first started yoga. I actually avoided it. I struggled in the pose; I felt strain; my arms were too weak and I couldn’t breathe. It was easier for me to do Up Dog, (Urdhva Mukha Svanasana) and I liked to speed through the vinyasa. So, thinking about the word “challenge,” which you hear so often in yoga, I decided to take on Cobra, and face my fears head on. Challenges help us grow, and I am so glad that I realized I was missing out on this pose, because it changed my practice and probably my life. The integration of power and flexibility, together, make this pose, so...well, awesome! I love hatha yoga, all forms of yoga (that I’ve tried). It is a tool for me. It is a necessity. I always feel like I get what I need whenever I practice. My classes are simple, “let’s flow through this thing called Life with grace and simplicity and do our best to love ourselves,” BREATHE, BREATHE, and BREATHE...I feel that you can go very deeply in pretty basic poses with focus on the breath - physically and mentally creating release and openness. 15 years ago, when my mom died, I thought I might too! That is when I found yoga and I never looked back. It probably found me. There is no time like the present and life is to be worshipped and enjoyed! YOGA!